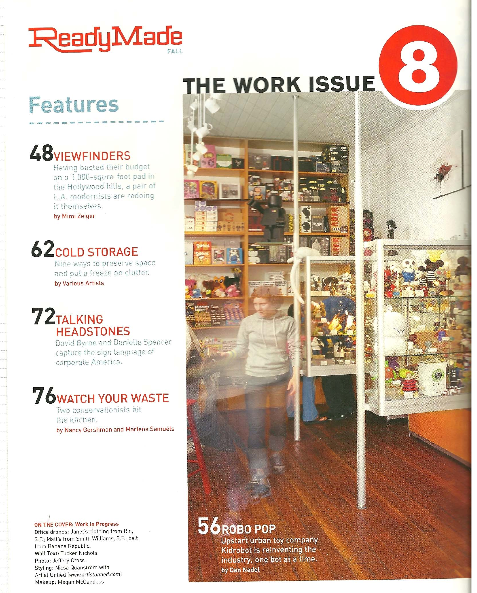 Although this article is all the more sad, given the closing of Kidrobot's retail shops and their "restructuring," this 2003 article about Budnitz and the launch of Kidrobot in Readymade magazine is quite telling. It's a good read. Big thanks to Mike Slobot for finding the article again and scanning it into a PDF. Really fascinating snapshot into a particular point in time which is incredibly important to all of us toy collectors. Say what you will about Kidrobot (I certainly do)... in 2003 they were on the cutting edge and it was exciting for all of us. Link to Mike Slobot's blog post below, where you can DL the PDF.